There are at least 34 companies in the Quercus' portfolio, and except for Khosla Ventures, the trust has probably made more greentech investments than any other venture capital firm. So what's the deal? How quiet is Southern California's Quercus Trust, the greentech VC and investment firm funded by David Gelbaum? If you visit Quercus.com: You see a picture of acorns. Quercus means oak in Latin. Quercustrust.com, registered to a Southern California address, redirects back to Google. Other URLs lead to blind alleys. Calls to associated VC firms and law firms lead to "No comment." Entrepreneurs who have received money say Gelbaum takes a long term, holistic view of the market and is patient enough to put money into an investment that might pay off well beyond five years. He's also not seeking attention. "There is little if any interest in media attention," one person wrote back. The most extensive article on Gelbaum comes from the L.A. Times in 2004, which details how the teenage math whiz, along with a professor at UC Irvine, pioneered mathematical models for hedge funds. Since then, he's been giving hundreds of millions away to environmental causes and education as well as buying stakes in somewhat futuristic green companies. We burrowed through SEC filings and press releases and have found at least 34 companies in the Quercus portfolio. That's more extensive than previously reported. Except for Khosla Ventures, Quercus has probably made more investments than every other VC firm. Some companies with Quercus money, in fact, requested the list before press time. There are a few things to note. First, a lot of these companies are already public, but trading on bulletin boards. Second, some portfolio companies – such as LiveFuels, BlueFire Ethanol and DayStar Technologies – started early, but are now in crowded markets fending off companies that have garnered massive amounts of cash. There are also some interesting, long-term bets. Quercus clearly isn't afraid to go deep or long. It also seems to have a strong hand in smart grid with GridPoint and Beacon, and it has some nice investments in car electronics. The firm additionally sometimes teams up with 21 Ventures. 1. Ascent Solar offers CIGS solar cells produced with laser patterning. The company was spun-out of ITN Energy Systems, which makes solar panels for satellites. Quercus has 1.7 million shares, or ten percent or more. 3. Beacon Power produces flywheels for utilities to balance load. Quercus owns 6.2 million shares, or 10 percent or more. 4. BlueFire Ethanol turns trash into ethanol. It has delayed its first plant a few times in an increasingly crowded market. Quercus has 5.6 million shares, or 10 percent or more. 5. China Solar and Clean Energy offer solar water heaters, waste heat recovery systems and biomass. It's already public with a low market cap of 8 million. (Formerly Beijing Deli Solar.) Quercus has over 10 percent with 2.5 million shares. 6. DayStar Technologies is one of the first CIGS solar companies. That makes two CIGS companies here. Quercus owned 3.3 million shares as of February, or 10 percent or more. 7. 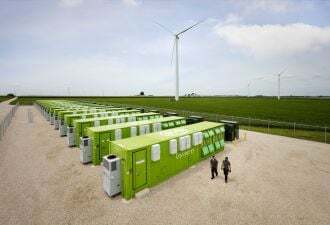 Electro Energy does batteries and power storage. It can do lithium, bipolar and nickel metal hydride. Quercus has 371,000 shares, or 10 percent or more. 8. Energy Focus builds LED light fixtures. Quercus has 2.7 million shares, or 10 percent or more. 9. Emcore creates fiber optics and triple junction solar cells with concentrator. Quercus has 5.7 million shares, or 10 percent or more. 10. Environmental Power produces methane and syngas from manure and waste from its Microgy subsidiary. The company is behind one of the biggest digesters, in Texas, in the U.S. Public, but small. Quercus has 1.3 million shares, or 10 percent or more. 11. Odyne builds drive systems for plug-in hybrid trucks and buses. Quercus has 8.3 million shares, or 10 percent or more. 12. Open Energy does building-integrated PV, which is another crowded market. Quercus has 12 million shares, or 10 percent or more. 13. Solar Enertech is PV maker based in Shanghai. The company is public and is trading below $1. Quercus has 14.3 million shares, or 10 percent or more. 14. Spire is a solar equipment maker. Quercus has 823,000 shares, or 10 percent or more. 15. Thermoenergy is a wastewater treatment and power generation company. Quercus has 667,000 shares, or 10 percent or more. 16. WorldWater and Solar creates portable water pumps and irrigation systems powered by photovoltaics. Quercus has 49.4 million shares, or 10 percent or more. 17. Sencera produces amorphous thin-film silicon solar cells. The company hopes to be in commercial production by 2009. 18. Nanoptek utilizes solar thermal dishes that use the energy to produce hydrogen. It solves the CO2 problem with hydrogen production. 19. Promethean Power uses solar thermal collectors to power thermoelectric devices to produce cool for refrigerators in the third world. The company came out of MIT. 20. Hydro Green Energy wants to generate 5 gigawatts out of the Gulf of Mexico via tidal power for rivers with some wind. In 2007, Quercus also expressed interest in Ocean Power Technologies, a wave company. 21. Standard Renewable Energy offers energy services for improving efficiency. The company is run by a former Enron exec, but don't hold that against it: He wasn't implicated. 22. GridPoint is everyone's favorite smart grid company. It's raised over $220 million so far. 23. Colorep creates non-polluting dyes that can be applied without water. It's a a combination green chemistry and water-efficiency play. 24. LiveFuels is in the algae fuel business. An early algae company but now competing against well-heeled outfits like Solazyme and Sapphire. Some of LiveFuels' technology comes from Sandia National Labs. 25. Firefly Energy offers a catalytic membrane for the large batteries in big rigs. It was spun out of caterpillar. The company is the recipient of quite a lot of buzz. 26. Cyrium Technologies produces quantum dots for improving the efficiency of PV. 27. Ener1 offers lithium-ion batteries for cars. It has a deal with Think!, and just bought a Korean battery maker. 28. Akeena Sola is a solar installer that has an interesting frame for solar cells. 29. Octillion is an incubator focused on energy that, like all other incubators, claims to be unique. The company is pursuing PV windows. 30. Lighting Science creates LED lamps. That makes two for Quercus. 31. Enviromission wants to build a 1-kilometer tower in Australia that will capture hot winds with the aid of solar panels power turbines. 32. Dynamotive turns biomass into oils via pyrolysis. 33. Nano Si Solar emerged from the University of Illinois. At Nano Si, Professor Munir Nayfeh has developed particles for increasing the efficiency of solar cells. Nayfeh and a company called Sun Gen are licensing technology to Octillion so there could be some overlap here. 34. Magenn Power makes the MARS, a ground-tethered and oddly designed blimp that generates electricity by spinning on a horizontal axis in the wind. If you put these companies in categories, Quercus has 11 in solar (Ascent, Open Energy, DayStar, Emcore, Akeena, Cyrium, Solar Enertech, Spire, Sencera, Octillion, Enviromission); three in smart grid and energy services (Beacon, GridPoint, Standard Renewable); four in biofuels (LiveFuels, BlueFire, Environmental Power, Dynamotive); five in batteries, storage and electronics (Firefly, Axion, Electro Energy, Odyne, Ener1); four in buildings and efficiency (China Solar, Energy Focus, Thermoenergy, Lighting Science); four in food and water (Promethean, Thermoenergy, Worldwater, Colorep); one in ocean power (Hydro); and one in hydrogen (Nanoptek); and one in wind (Magenn). And if you're a cold-fusion company, or deep-sea hydrogen producer that's just received some money from the trust, just let us know.